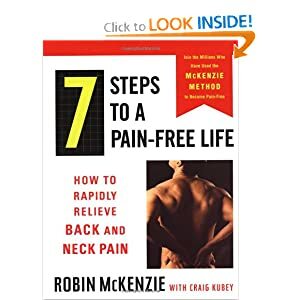 In 7 Steps to a Pain-Free Life, its founder, world-renowned physical therapist Robin McKenzie, shares the innovative program that can save you from a life of pain. Readers will find they can attain substantial or complete freedom from pain--which brings freedom to enjoy work, friends, and family again, and live a fulfilling life serving God and others. Whether you endure back pain or not, these are some of the best yoga DVDs on the market. Based on 30 years of distinguished work in yoga therapy, Gary Kraftsow's new Viniyoga Therapy series presents his acclaimed use of yoga postures and breath techniques to promote sustained back health. 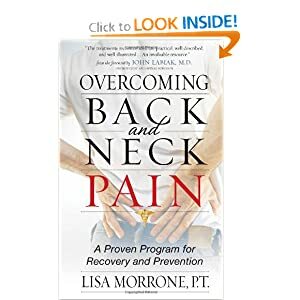 Optimize your ability to use relaxation and visualization for dealing with pain, anxiety, and to get better sleep with the RECLAIM Program audio CDs. Get Your Low Back on Track! This 30-Day holistic wellness program is just what you need to heal your lower back pain and discomfort and re-claim a PAIN-FREE life! You get the eBook plus a CD of Guided Visualizations. This series of therapeutic yoga exercises that will improve your posture, ease pressure, relieve tightness, increase circulation, and make you stronger and more flexible. Before long, your aching back will be a thing of the past.